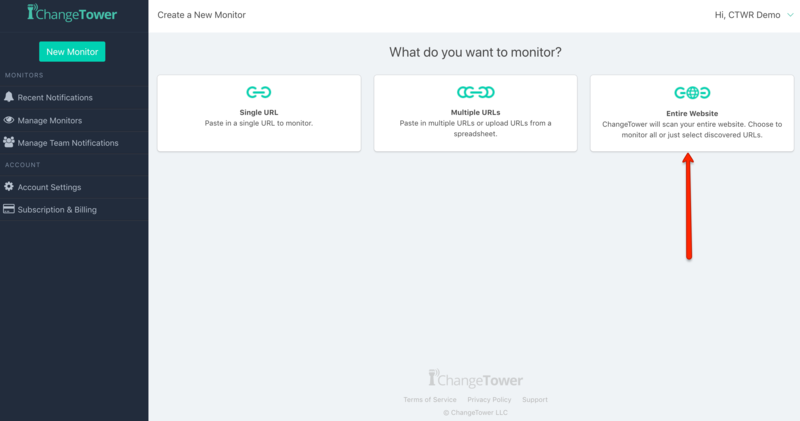 ChangeTower enables users to receive change notifications / alerts for changes across an entire website and the set up process is a breeze! 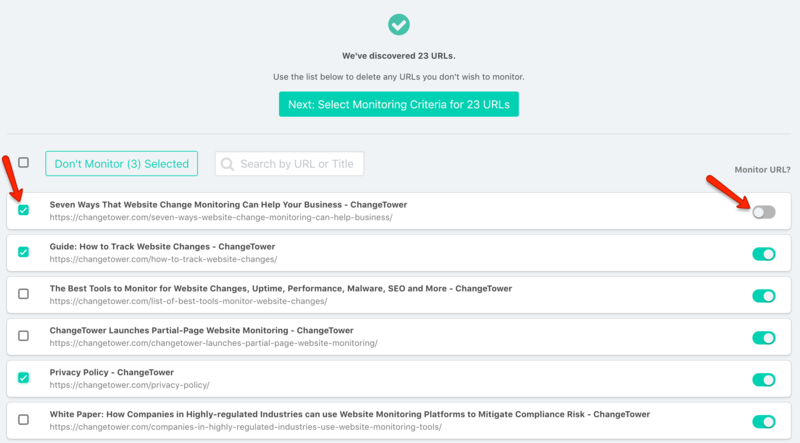 Simply tell the system that you want to monitor an entire website, pick the Monitor-type that best suites your use case, enter the URL, and you're off! The trickiest step will probably determining which Monitor-Type is best for your unique needs! 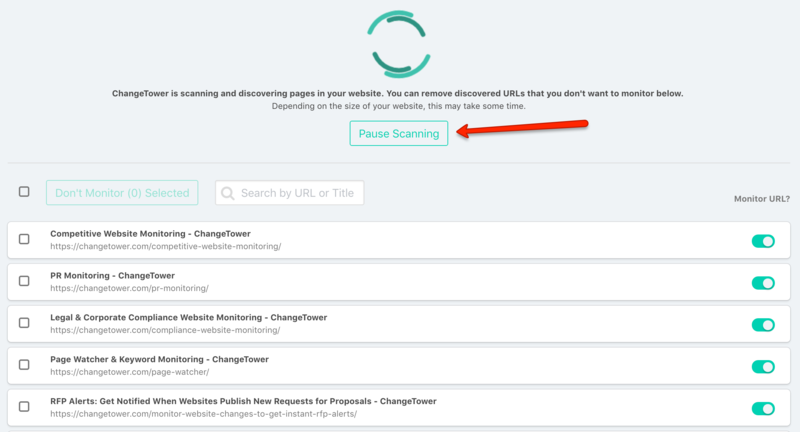 The process is super simple but we've broken it down into 7 straightforward steps (with graphics) to help if this is your first time using this feature on ChangeTower! 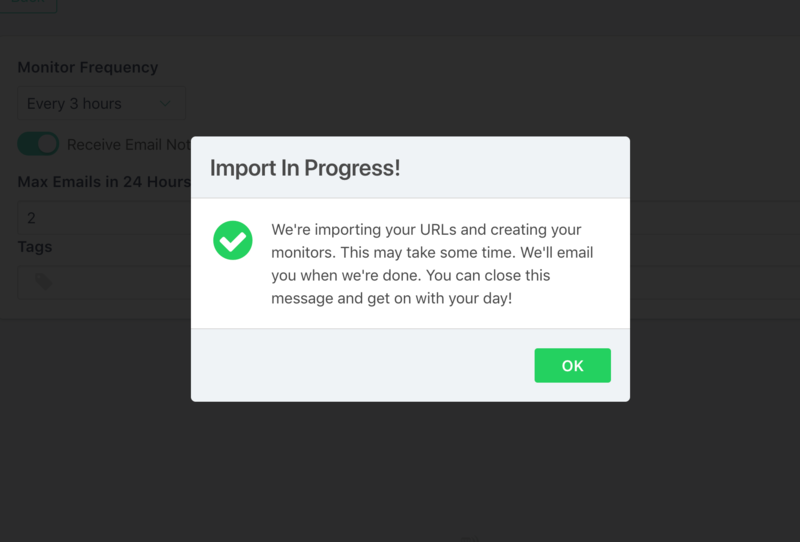 If you're looking to be alerted of any Text changes to an entire website, we recommend the Content Monitor-Type! Step 5: Tell the system which of the discovered URLs are NOT of interest by using the check boxes on the left or right. Monitors will not be created for those pages. Step 6: Establish your Monitoring criteria. Again, the above image is just an example. The options here will depend on the Monitor-type selected in Step 2. Pro Tip: Tags are a great way of keeping your account organized. You can use these to help you easily know which website the Monitors are for, criteria or type selected, and most commonly, help you know for which department and/or client the Monitors are relevant for! Once you've successfully completed the above steps, you'll receive a confirmation message. 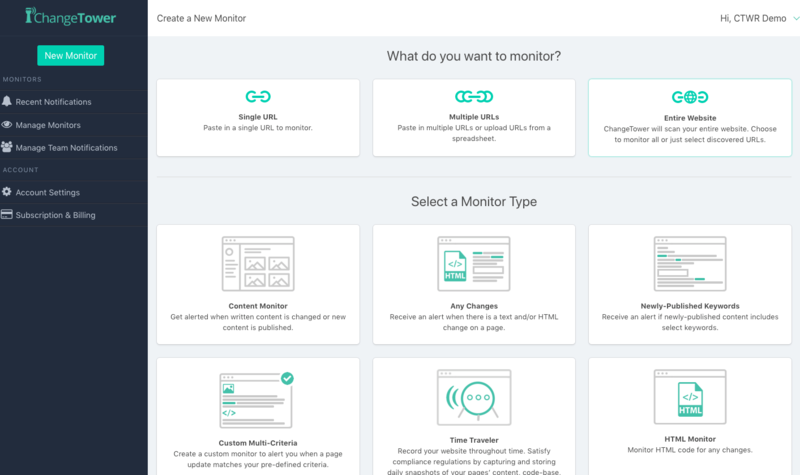 It may take a few minutes for the Monitors to be set up on all of the pages for your website(s) but once finished, you'll be able to see the notifications on your dashboard or in the Manage Monitors section of the platform. You will be notified via email once the set up process has been completed. Note: users will be able to set up an initial scan / crawl of all of the webpages for their Website BUT if the number of Monitors exceeds the number permitted by their plan tier, they will automatically be paused until the plan has been upgraded so that those paused Monitors can be activated.